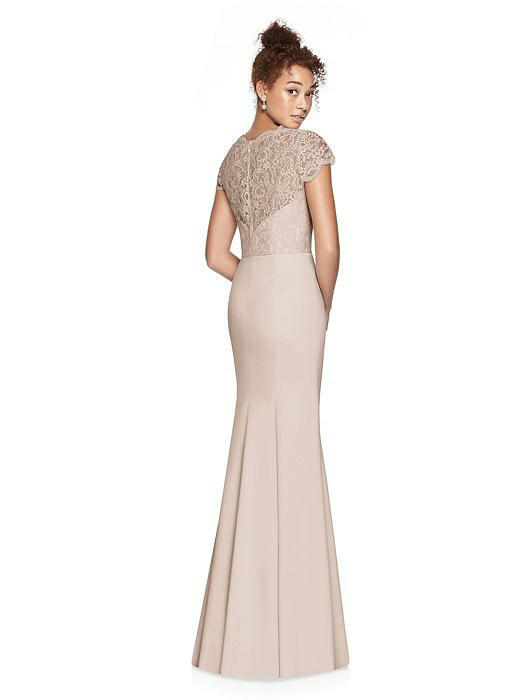 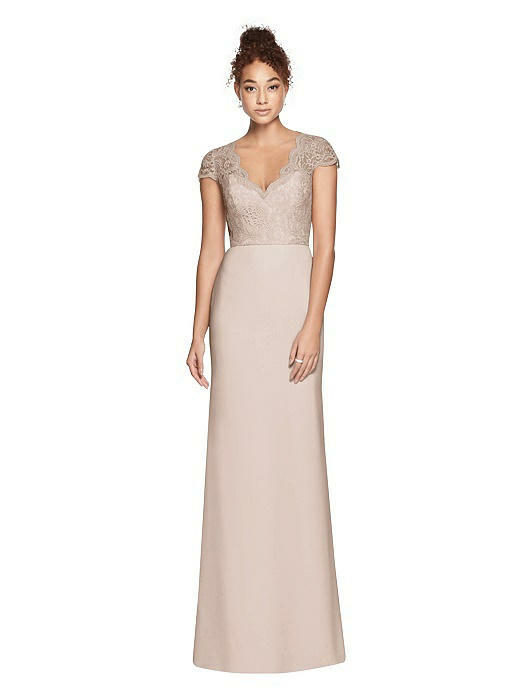 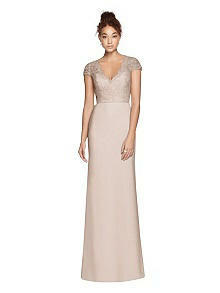 Romantic elegance and simple design combine in this marquis lace bridesmaid dress, complete with cap sleeves. Its V-neckline features a charming scallop edge and a sheer back. Flowy crepe finishes off the balanced silhouette on a full-length flared trumpet skirt.